Whether you’re a parent, childcare provider or teacher, you want the very best for the children in your life. But how do you know you’re giving a child the very best you can? It’s a cliché, but it’s also true—children simply do not come with instruction manuals. And that’s why we put together Healthy Beginnings. Healthy Beginnings is a resource to help you nurture the tremendous potential for learning and growth that every child has… that every child is born with. Specifically designed for caregivers of infants and toddlers from birth through age three, Healthy Beginnings gives you knowledge and support around child care and child development, while our Activity Planner provides you with fun, developmentally appropriate activities that build young children’s skills and promote all kinds of learning. Healthy Beginnings may not be that long-missing instruction manual for child care, but it is a tool that can help you give the very best you can to the infants and toddlers in your life. NEW: Creative Connections: Young Children and the Arts. 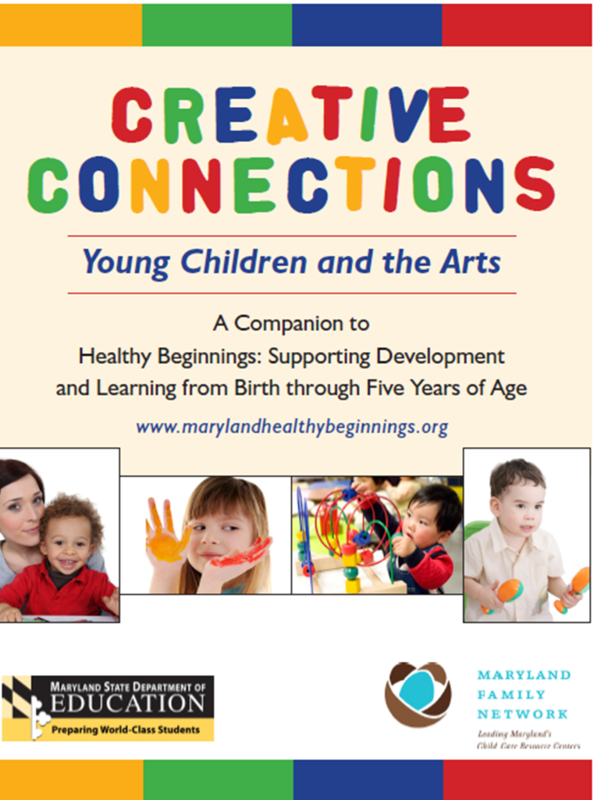 A Companion Guide to Healthy Beginnings: Supporting Development and Learning from Birth through Five Years of Age. Keep in Mind: Milestones can occur at different rates and stages in a child's development. Healthy Beginnings is intended to be a resource for caregivers. If you have questions about an infant's or young child's development, please consult with your pediatrician or other medical professional.